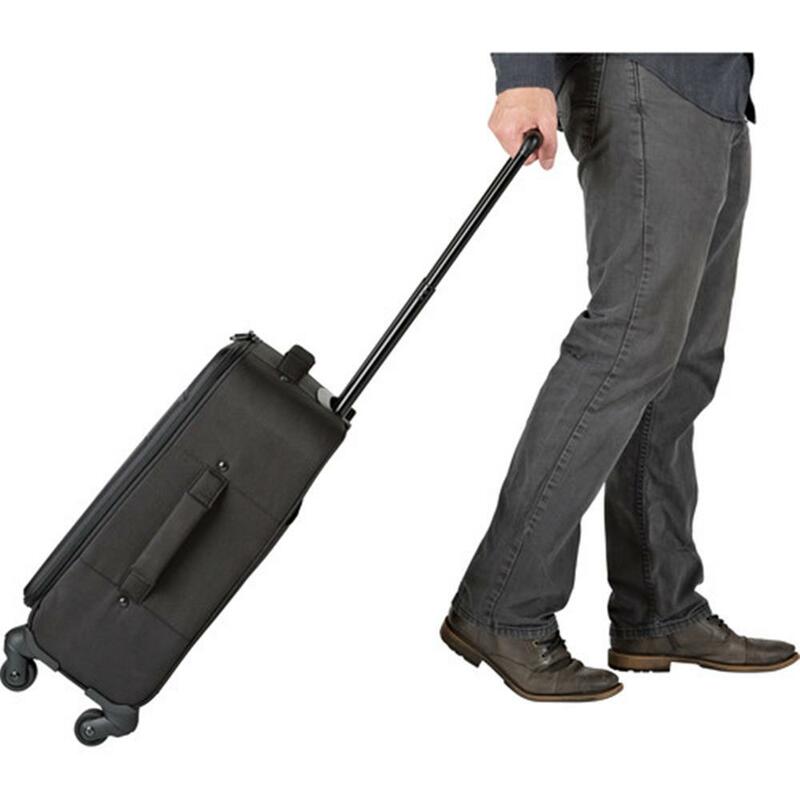 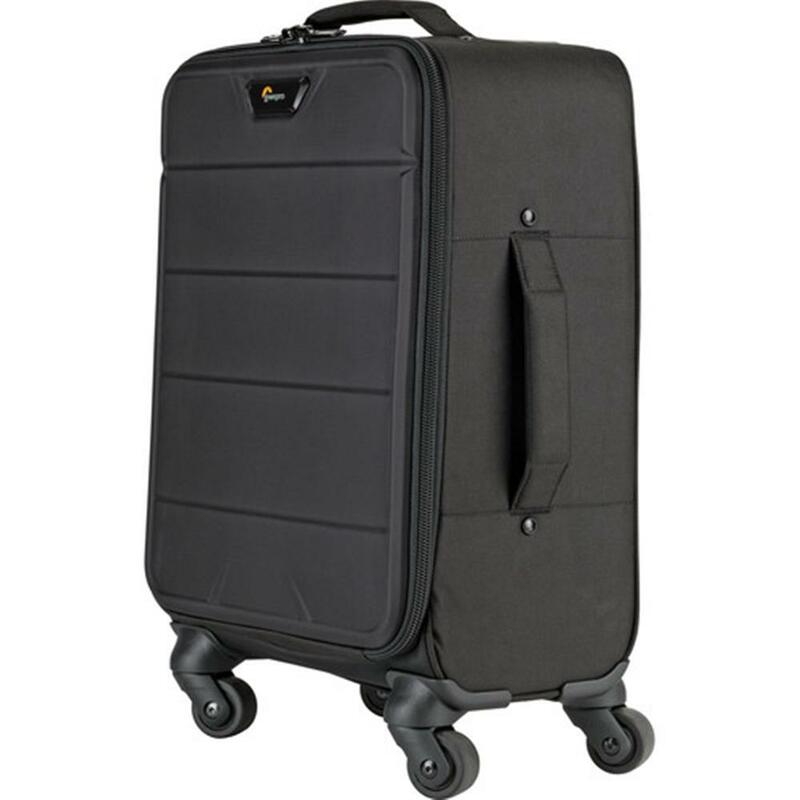 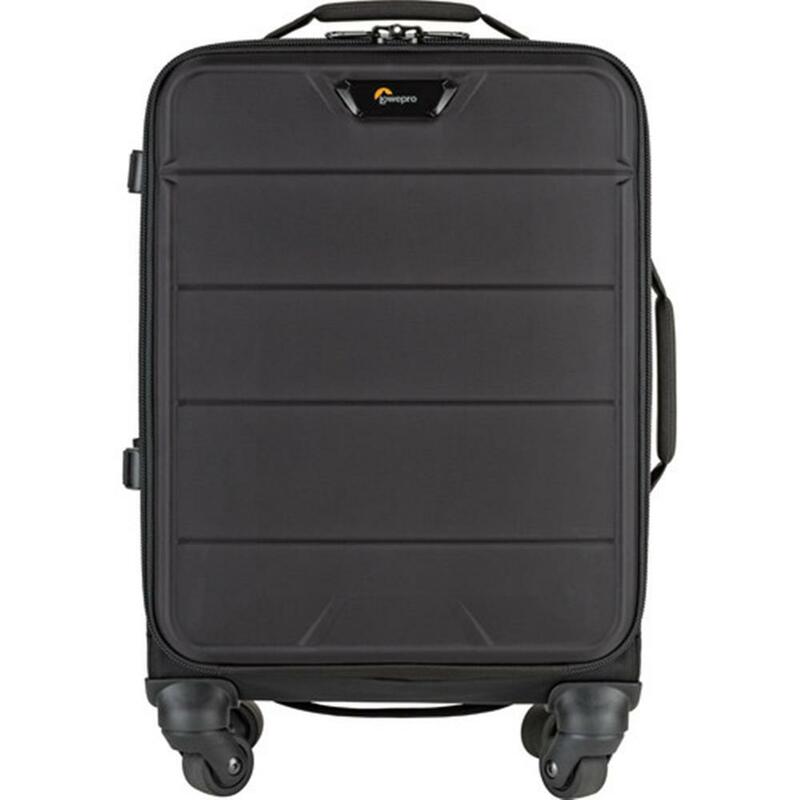 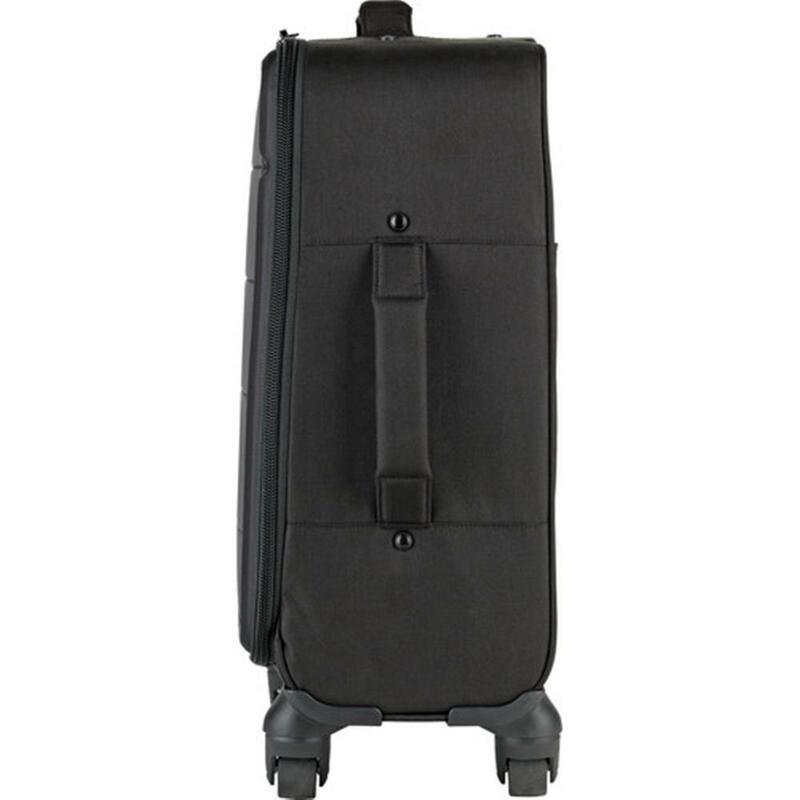 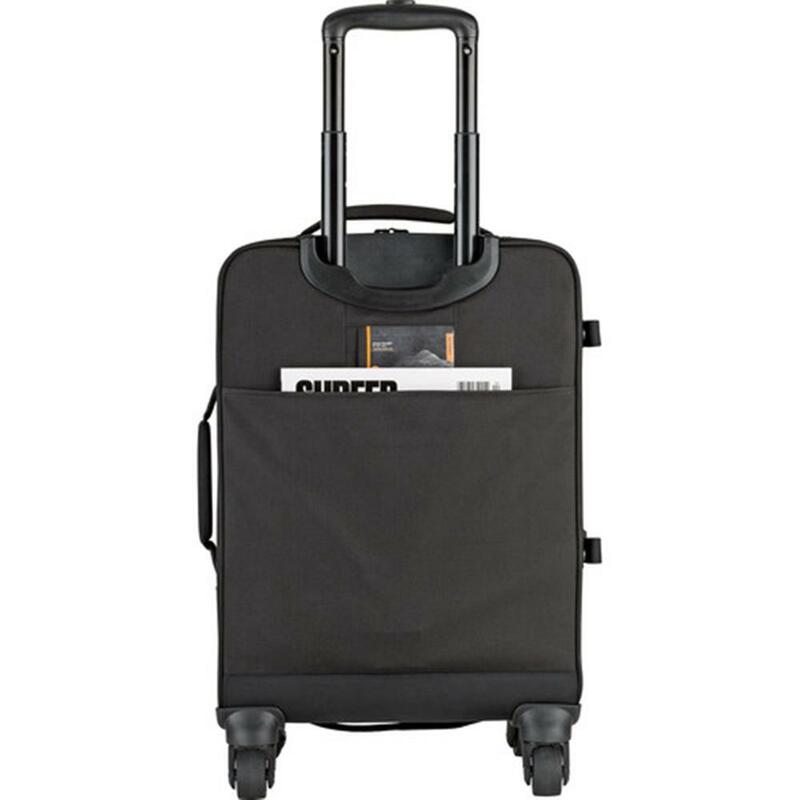 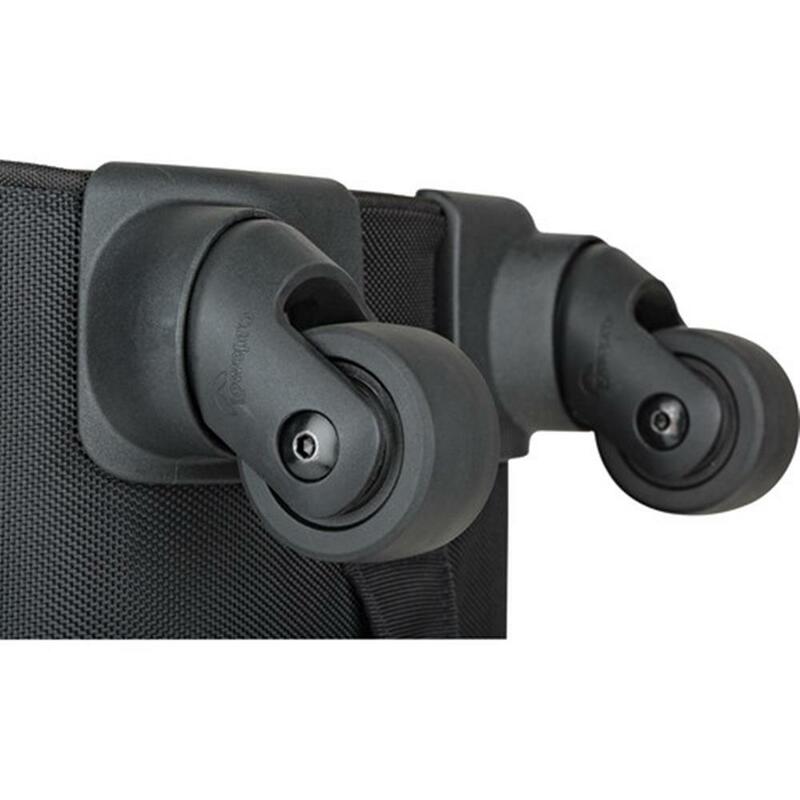 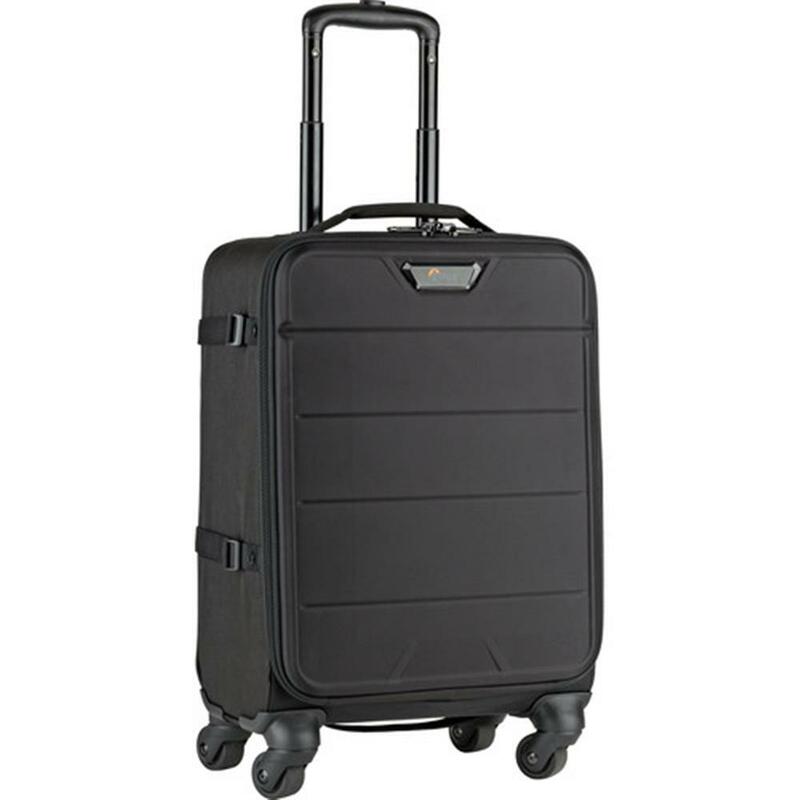 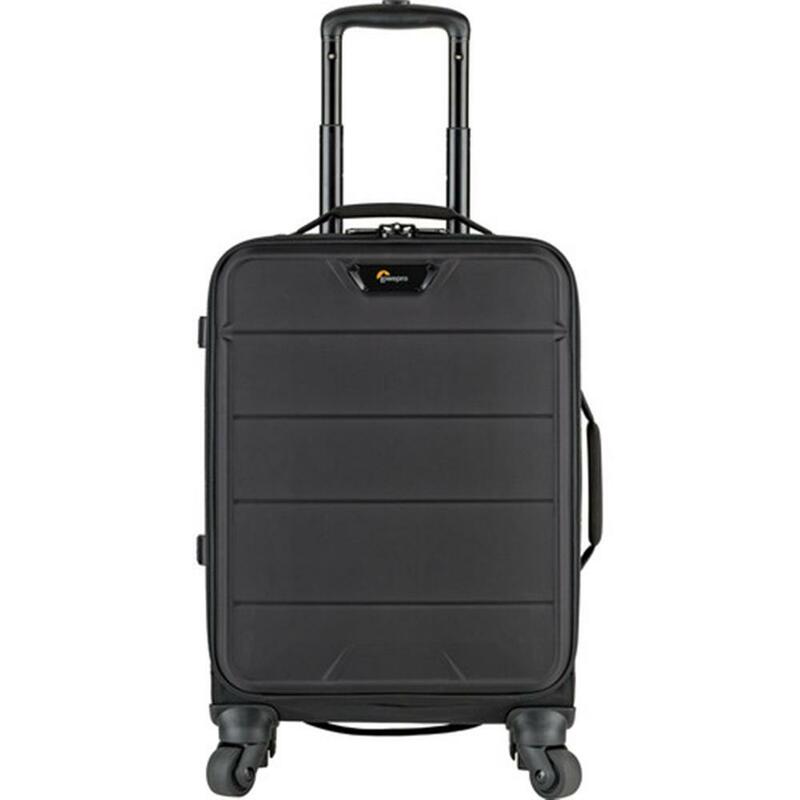 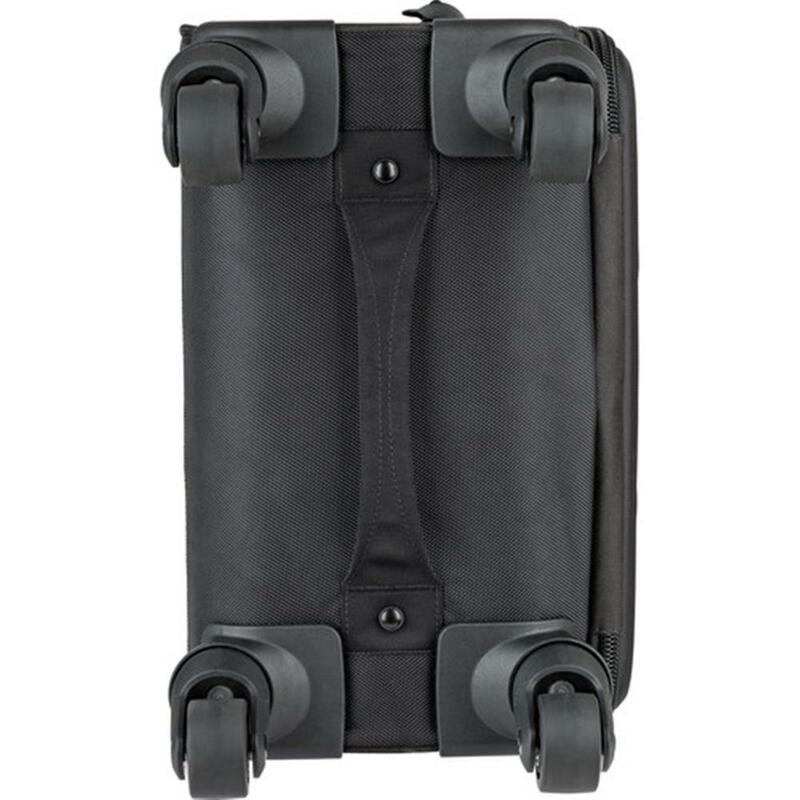 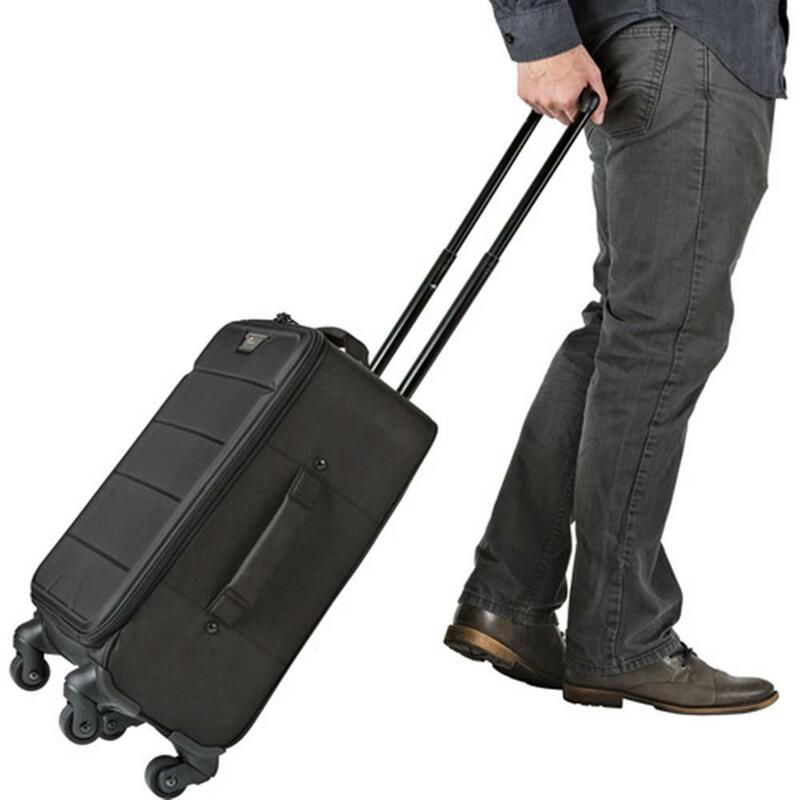 Lightweight and streamlined 4-wheel "spinner" rolling bag with 360 degree motion that is carry-on compatible. 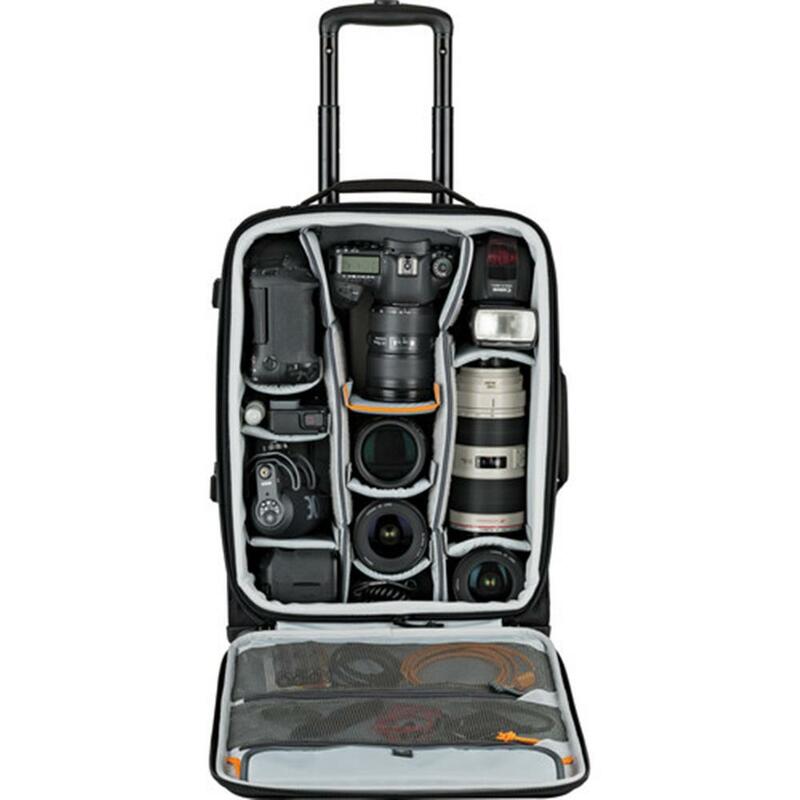 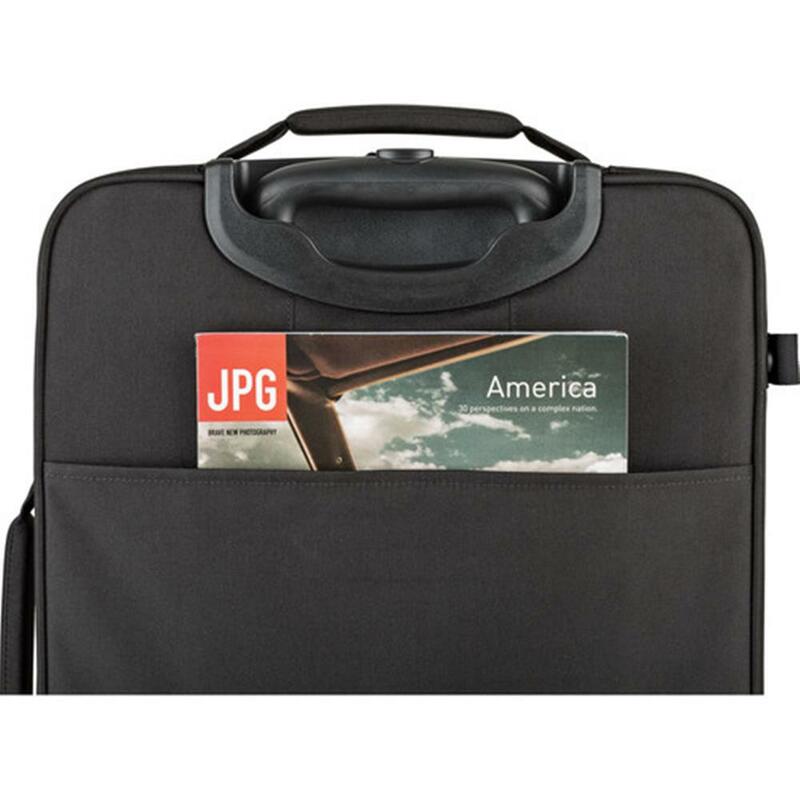 Designed for enthusiast to pro photographers, the PhotoStream SP 200 is a lightweight and streamlined "spinner" bag optimized for airline travel. 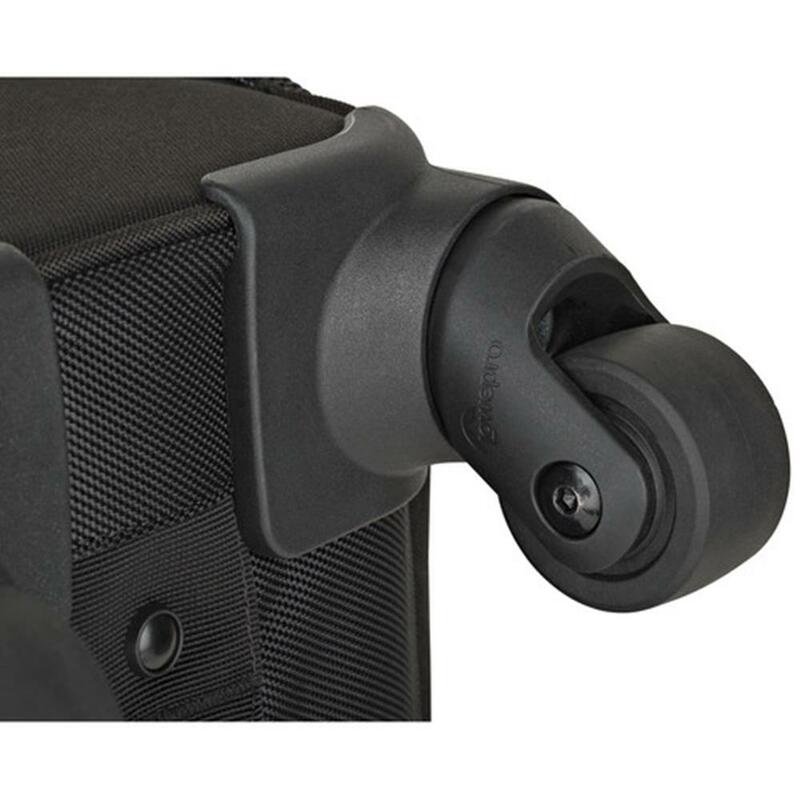 Armored exterior and flexible interior provide secure, customizable storage while 4 wheels deliver 360 degree range of motion. 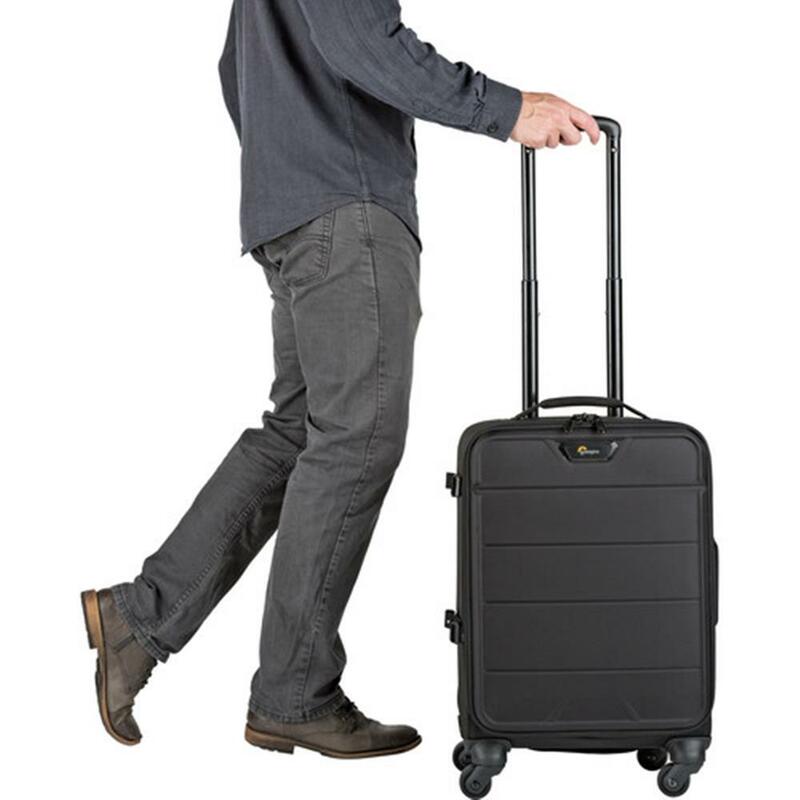 Streamlined design delivers 8.8" depth giving you peace of mind regardless of your aircraft. 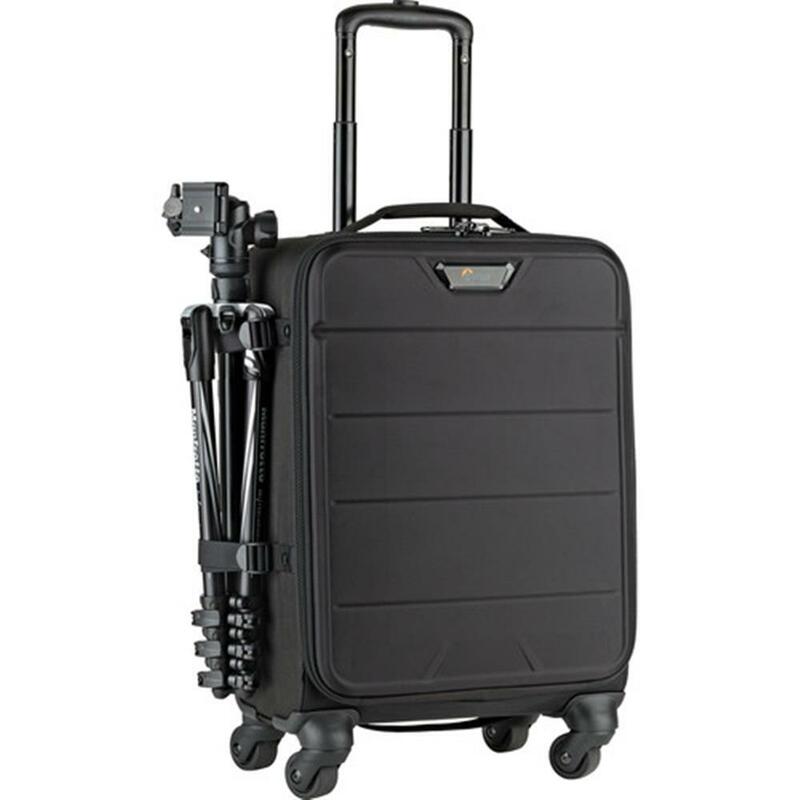 Weighing in at under 9.75 lbs, you can maximize the amount of gear you can bring while staying under carry-on weight restrictions. 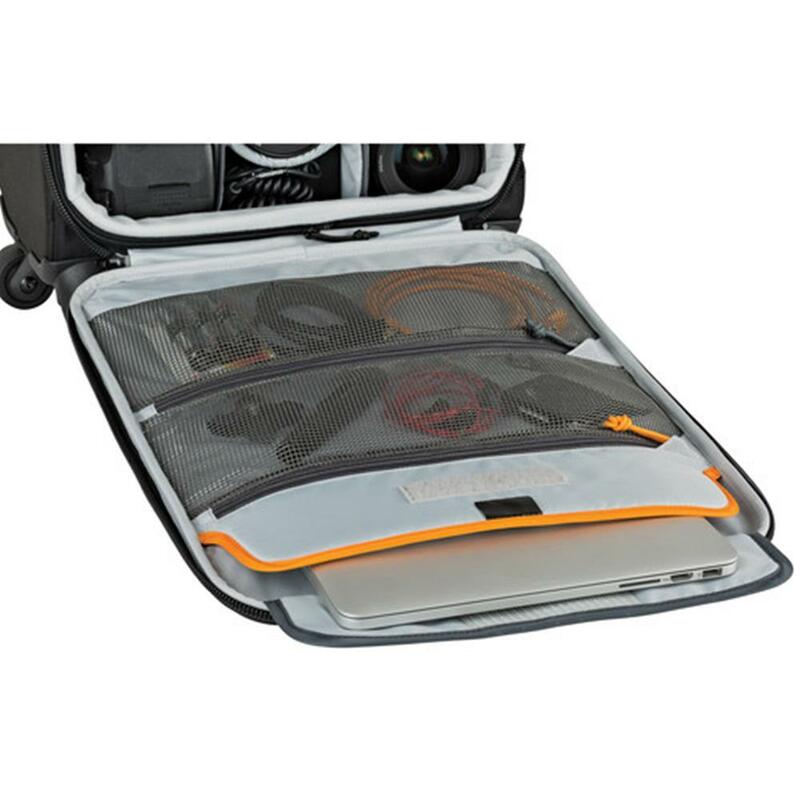 2 stretch-mesh zipper pockets offers easy access to essential accessories.